Is Town Mountain Headlining the Best Derby Eve Party in Bluegrass? Read this awesome review of what to expect at a Town Mountain show! "There is no new record to celebrate, but expect its Carolina-bred string-band charge to ignite the most fervent Derby Eve bluegrass show in the Bluegrass." Town Mountain's Jesse Langlais Talks with Rolling Stone! Kaia Kater to Play Carnegie Hall! Kaia Kater Plays NPR Music Tiny Desk! The Bluegrass Situation Interviews Frank Solivan! 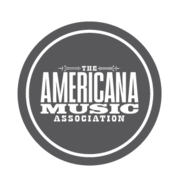 Quicksilver Productions is a full service booking agency working with a select roster of cutting-edge Americana artists from around the world, specializing in all forms of Roots music. With over 30 years of collective experience in the music business, Quicksilver Productions has gained a reputation among talent buyers for being a favorite boutique agency to work with in the industry.